Eliminates seal extrusion in high-pressure systems with shock load and low pressure startup. Improved sealing performance and stability due to its secondary lip that retains lubrication between both dynamic seal lips, providing long service life. Size Table (Inch)Standard range sizes listed below are preferred sizes for new design applications. 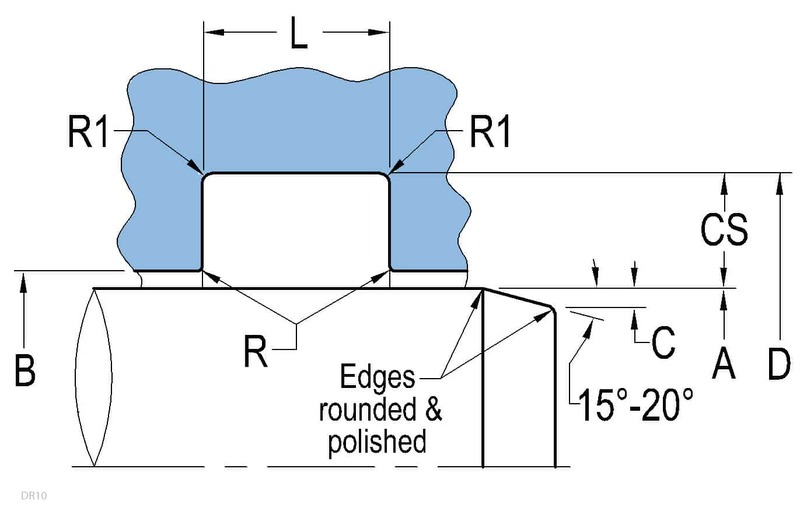 Seals are available for any rod diameter, cross-section and groove width in 0.001 inch increments, including functional range diameter and optional groove width. Additionally we offer any other seal size as required. * Based on using wear rings. For rod diameters below 0.750" an open or split housing for easy installation is recommended. Surface finish: rod (A) Ra 4-12µin – Static (D,L) Ra max. 32µin. See Technical Info for more specific information. Size Table (Metric)Standard range sizes listed below are preferred sizes for new design applications. 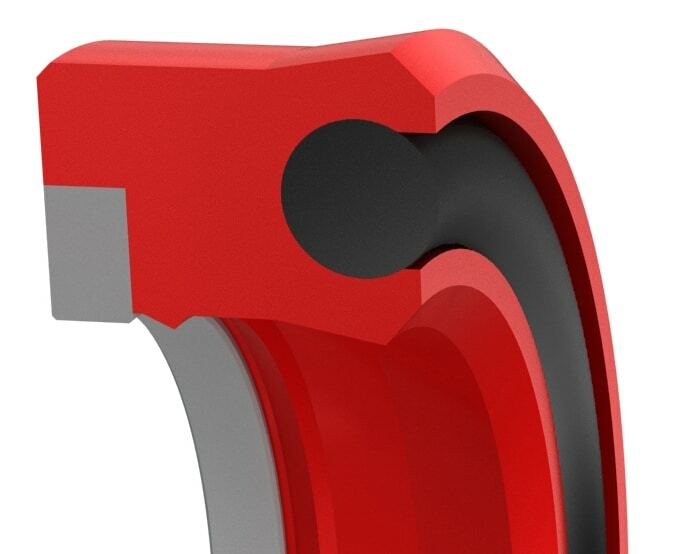 Seals are available for any rod diameter, cross-section and groove width size in 0.01 mm increments, including functional range and optional groove width. Additionally, we offer any other seal size as required. *Based on using wear rings. For rod diameters below 20mm an open housing for ease of installation is recommended. Surface finish: rod (A) Ra 0.1-0.3µm – Static (D,L) Ra max. 0.8µm. Note: See Technical Info for more specific information.